Biography of Ingrid Detter de Frankopan « RJ GAUDET & ASSOCIATES L.L.C. Prof. Dr. Detter de Frankopan is an accomplished author, teacher, Barrister, former judge, arbitrator, and former legal adviser to H.H. Pope John Paul II. Her book, The Law of War, published by Cambridge University Press in two editions, is an authority in public international law. Prof. Dr. Detter de Frankopan is Of Counsel at RJ Gaudet & Associates LLC and a Barrister-at-Law in London. She is a former Judge of the Swedish Immigration Court and the High Court of Stockholm. She was an expert on international law in the Freezing Assets Case regarding the rights of the UK government to freeze assets of Iran in U.S. Banks in the United Kingdom. It was this case which led to the release of the diplomatic hostages held at the U.S. Embassy in Tehran. She has acted as arbitrator and counsel in many arbitrations, including many with the International Chamber of Commerce. She advises and acts as Counsel for individuals, companies, multinational corporations, and governments on issues concerning public and private international law. Prof. Dr. Detter de Frankopan represented the sovereign nation of Dominica as Agent and Counsel in a case before the International Court of Justice regarding sovereign rights, diplomatic privilege, and immunity. She advised the U.S. Department of Justice in two cases on terrorism before the U.S. Supreme Court. She appeared as Counsel on behalf of the claimants in a case on State immunity in the Swiss Supreme Court where she wrote pleadings in German. She also acted as Counsel in a case before the Swiss Data Protection Commission where the oral hearing was conducted in German. She acted as Counsel in a case involving diplomatic immunity before the Court of Appeal in Monaco where she pleaded in French. She was Defense Counsel in a war crimes trial at the International Criminal Tribunal for the former Yugoslavia. Prof. Dr. Detter de Frankopan was a member of the law faculties of the University of Uppsala and Stockholm University and a lecturer at the London School of Economics. The Government of Sweden appointed her to life tenure in international law at Stockholm University. She has been a Fellow and Senior Member of St. Antony’s College at Oxford University; a Talbot Research Fellow at Lady Margaret Hall at Oxford University; and a British Council Scholar. For twenty-two years, she was legal adviser to H.H. Pope John Paul II. 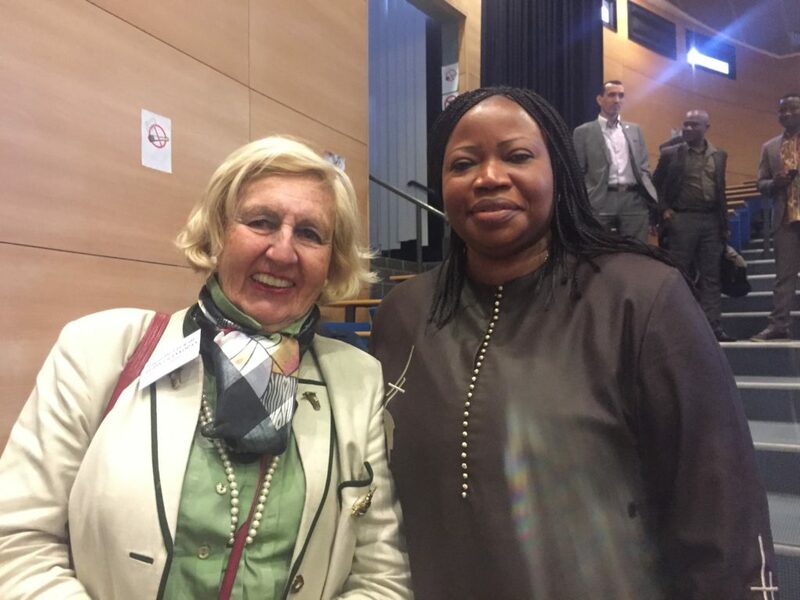 She was Legal Adviser to the Swedish Delegation of the United Nations Disarmament Conference in Geneva. She founded the Institute for Studies in Environmental Law in London and served as director. She was Legal Adviser to the Economic Commission for Europe of the United Nations on Privatisation in Eastern Europe. Prof. Dr. Detter de Frankopan is fluent in English, Swedish, French, German, Italian, Swedish, Danish, Norwegian, and she has a working knowledge of Russian, Spanish, Portuguese, and Dutch.